Mozilla has begun rolling out Firefox 66, which now gives you the ability to block autoplaying content by default so you're not startled while you browse. Videos that are muted by default will still play, but you won't be left hunting around for the tab that's deafening you. If you decide that you want to watch a clip that the browser has blocked, give it a click to start it playing. You can also choose to enable autoplay for specific sites (like your favorite streaming services, for instance). To enable autoplay on a particular site, click the 'i' icon in the address bar, and set 'Autoplay sound' to 'Allow'. Firefox 66 will also prevent the annoying problem that occurs when you're reading something online, and the text suddenly jumps down as an image or a video loads above it. Mozilla announced this feature (known as scroll anchoring) back in January, and it should prove particularly useful on mobile devices, where page jumps can push whole paragraphs off your screen. 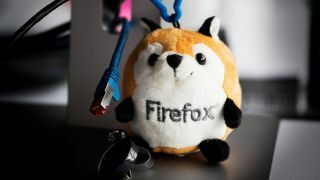 Firefox's search tools have received a boost too. You might already know that if you type % into the address bar, you can search all the tabs currently open on your computer (or on multiple devices if you're using Firefox Sync). Now, you can also search from the tab overflow menu, which appears when you have more tabs open than your browser windows can comfortably show. If this happens, you'll see a down arrow beside the plus icon for creating a new tab. Click this, and you'll find a new search box, ready and waiting for your queries. It's a small change, but a handy one. Private browsing has a new search function, as well. Open a new private browsing tab and you'll see a search bar for your default search engine, which you can use safe in the knowledge that your search history won't be saved.